You'll love these bold choices. "Game of Thrones" is back in full force with Season 7, so it's likely the show will spark another wave of unique baby names. Since 2011, the HBO show has given birth to some pretty unique monikers, including Khaleesi and Daenerys. In fact, Vox reports that before 2012, the name Khaleesi didn't even exist. That's right, George R. R. Martin is singlehandedly changing the world of baby names as we know it. Khaleesi is the Dothraki title, meaning "queen," that is given to Daenerys Targaryen, also known as the mother of dragons. It's not surprising that the character has inspired two trending names over the years. After all, she has always been a fan favourite not just because she has dragons (which we have to admit is pretty kickass), but because of her fierce, independent spirit. In 2012, just one year after the series premiered, there were 21 newborns named Daenerys and 146 named Khaleesi, according to U.S. Social Security Administration data. In 2016, the latter number rose to 370. Other big-trending names that were inspired by the show include Arya (which was the fastest-rising baby name for girls in 2012), Tyrion, Theon and Sansa. Since the show's popularity isn't going to die down anytime soon, we've compiled a list of "Game of Thrones"-inspired names that are bold and unique. Although these picks aren't as obvious as the trending names mentioned above, we're sure even Queen Cersei herself would approve. Khal Drogo, played by Jason Momoa. 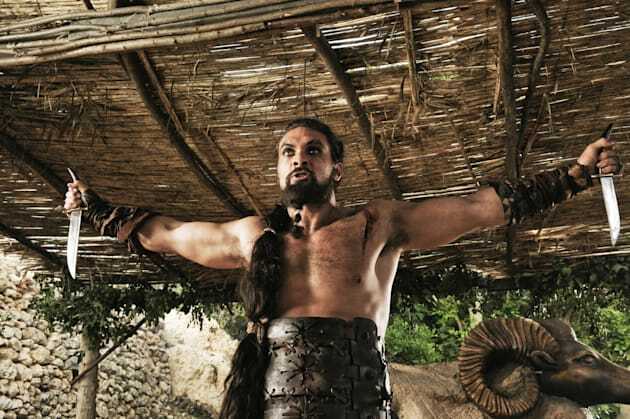 There's no doubt Khal Drogo was one of the most memorable characters from the early seasons of "Game of Thrones." Drogo was the fearless warrior and leader of the Dothraki people and Khal is his official title, which means "chieftain." This name exudes strength, and while it might seem like an odd choice, it's a name that is associated with a lot of affection. Ygritte was the feisty wilding Jon Snow fell in love with. We love this name for its lively, energetic feel and unique sound. After all, Ygritte is definitely a fresh, modern upgrade from the old school Yvette. 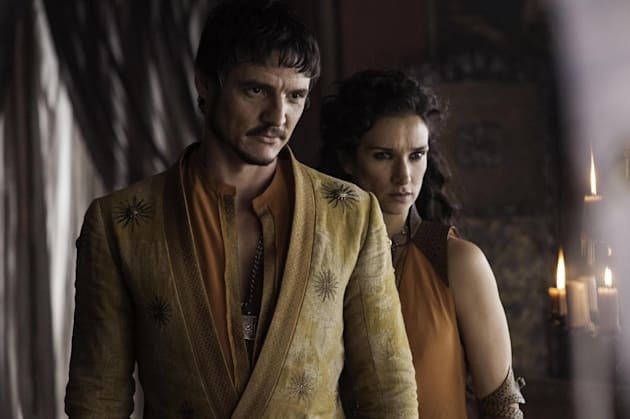 Oberyn Martell and Ellaria, played by Pedro Pascal and Indira Varma. This beautiful name belongs to the lover of Prince Oberyn Martell of Dorne. Its feminine charm and sophisticated feel are what we're attracted to most. We also love that it has a number of trendy nicknames, including Elle, Ella, Ellie and even Aria. Benjen is as classic as it gets in Westeros. This riff on the traditional Benjamin sounds like a nickname as first name, which makes it a trendy choice. What's also appealing about this name is that it can be shortened to the more common Ben, Benny or Benji depending on what suits your wee one best. Daario Naharis, played by Michiel Huisman. We just can't get enough of Daario's soft, romantic sound. The name comes from Daario Naharis, who was both Daenerys' lover and adviser in the show. The Spanish name is commonly spelled with one "a" and means "kingly" or "rich." The name Lyanna might make you think of Eddard Stark's younger sister, but we actually associate the moniker with Lyanna Mormont, the fierce and sassy child who rules Bear Island. Although Lyanna is a sweet and stylish name, it also symbolizes power and independence thanks to the character from Mormont, which is why we're so drawn to it. 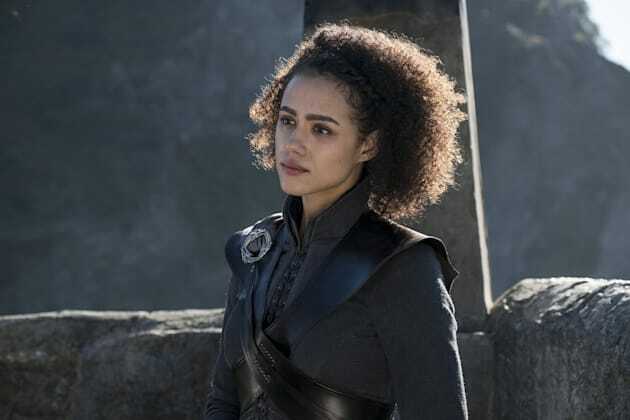 Missandei, played by Nathalie Emmanuel. We know this name isn't for everyone, but we're digging it. We love that it's different and that just it rolls off the tongue. Plus, the name can be shortened to the mischievous '80s name Missy if you're into that. Believe it or not, Oberyn is actual on trend this year since Nameberry predicted that names starting with O will explode in 2017. Oberyn Martell was the Prince of Dorne and he was full of passion both on and off the battlefield. The name reminds us of his fiery spirit and ambition, which we love. Yara and Theon Greyjoy, played by Gemma Whelan and Alfie Allen. Yara Greyjoy is one of the many kickass women on "Game of Thrones," but interestingly, the Arabic name has a delicate meaning: "small butterfly." Yara is a nice alternative to the common name Mara. Finding a boy name that has feminine charm is hard to find, which is why we find Loras so appealing. This name belongs to Loras Tyrell, the brother of Margaery and lover of Renly Baratheon.